James Gandolfini, star of the critically acclaimed HBO drama, “The Sopranos,” died Wednesday of a possible heart attack in Italy. 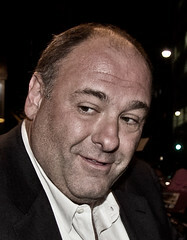 The news was confirmed by HBO and Gandolfini’s agents, who said that the 51-year-old actor was on holiday in Rome. “We’re all in shock and feeling immeasurable sadness at the loss of a beloved member of our family,” HBOsaid. He was special man, a great talent, but more importantly a gentle and loving person who treated everyone no matter their title or position with equal respect. He touched so many of us over the years with his humor, his warmth and his humility. Our hearts go out to his wife and children during this terrible time. He will be deeply missed by all of us. He is survived by his wife, Deborah Lin, and his son, Michael. Condolences poured in from the late actor’s friends and colleagues. 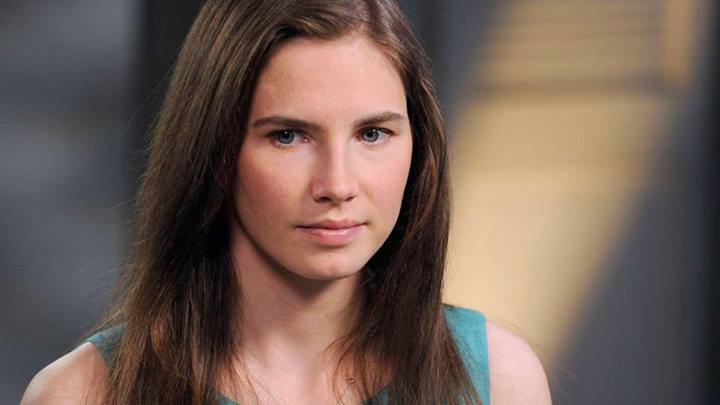 “Absolutely stunned,” Chris Albrecht, HBO’s former CEO, said of the news. “R.I.P James Gandolfini. One hell of an actor,” actor Albert Brooks tweeted. “James Gandolfini. Unbelievably sad news. A fine man,” Steve Carell tweeted. Firstly, I must notify you that internet is not the right place to discuss this proposition. I am having a great week! Call it luck? Call it what -EV, This week alone I have won lotteries in Italy and Mexico and now THIS! I do realize that the internet is not the right place to discuss all the stuff I am winning this week. Any rational person would tell you I need no education to understand the reason I am packing my bags and heading to where ever the coming down to country actually is. Ground control to Major Shatner. Priceline.com? I will take a chance… I am ready to negotiate. Ticket in hand, Flowered shirt on. Put a hold on the morning paper… Here I come down to country. Here I come and it should be a doosie! What am I all jacked up about… I got this in my PRIVATE email today. So I am feelin’ pretty darn good. Here I pasted it for you so you can read it yourself. Firstly, I must notify you that internet is not the right place to discuss this proposition. On this ground, it becomes unavoidable that a meeting should be schedule to enable us have a face to face business discussion. Sincerely speaking, i need no education to understand the reason why people finds it extremely difficult in trusting strangers in this wicked world. It is not my duty to blow my trumpet but trial will surely convince you on how transparent, honest and absolute truthfulness i am in this project and i can’t wait to prove to you the authenticity of this deal beyond any reasonable doubt. I believe in practical demonstrations. Firstly, let me start by introducing myself officially. My name is Dr. Mrs. Ada Emillia Ahmed Bin Venezuela Citizen married to Libyan and wife of late Retire General Ahmed Diko Bin. Give me the chance to prove to you that this contract is authentic by coming down to country where you will have a practical view of all that i have got because the total Gold is completely out of Libya. I seeking that company or individual who purchases commodity and can be able to purchase my product. I seeking that Mandate/broker who can assist me to find buyer and your commission will be discussed. The buyer have to arrange for trip to where the Goods was located. This will provide him the avenue to take some sample to proceed to the refinery for Assay test result to ascertain the purity of the product. PROCEDURE: Buyer comes down to Accra– Ghana to inspect and sample will be tested and smelted at agreed Government Refinery based at ACCRA – GHANA for an Assay Certificate. Can you make yourself available or Do you know any buyer who can make itself available to travel down to where the Gold is lodged to enable him see, pick up sample straight to the refinery to confirm the purity before discussing on the affordable price to be given? Note: Kindly revert back if you are ready to proceed with your direct Mobile phone where you can be reached for brief oral conversation for onward provision of FCO for your study. You have been reading dp@large for sometime now (right?) and you know I am careful as hell. It is known as due diligence and it is real. People who actually do due diligence call it “due dili”. So duh! My plane ticket for down to country is not refundable so I had better get it right the first time. Here are my deal notes. 1. Firstly, I must notify you that internet is not the right place to discuss this proposition. I couldn’t agree more. The Internet is not the place… people say there is a time and place for everything… Get a room! 2. On this ground, it becomes unavoidable that a meeting should be schedule to enable us have a face to face business discussion. On this ground? On what ground? Uh, I am not on any ground. I am sitting on a couch. As for the unavoidability of schedule a face to face business discussion my I suggest to you my dear Madam that Never works for me, so let me pencil you in for NEVER… I will have my people not follow up with your people. 3. Sincerely speaking, i need no education to understand the reason why people finds it extremely difficult in trusting strangers in this wicked world. It is not my duty to blow my trumpet but trial will surely convince you on how transparent, honest and absolute truthfulness i am in this project and i can’t wait to prove to you the authenticity of this deal beyond any reasonable doubt. I believe in practical demonstrations. Hey Babe, uh, I mean Madam, I don’t need no education neither. Hell, I don’t nuthin ’bout the French I took, what I do know is it is extremely difficult in trusting strangers in this wicked world. I would not stop you from blowing your horn so do give us a practical demonstration. 4. My name is Dr. Mrs. Ada Emillia Ahmed Bin Venezuela Citizen married to Libyan and wife of late Retire General Ahmed Diko Bin. You and I both you know, that babe lookin’ women have babe soundin’ names. Ada Emillia Ahmed Bin Venezuela stokes the fire that smolders in every man’s soul. You just hear that name and know she is HOT! Men understand this. Trust me, I am not blowing a horn. 5. Coming down to country where you will have a practical view of all that i have got because the total Gold is completely out of Libya. I am willing to bet that Canned Heat was playing on the radio when she wrote this letter to me. Call it intuition, but somehow I already knew that the total Gold was completely out of Libya. 6. The buyer have to arrange for trip to where the Goods was located. This will provide him the avenue to take some sample to proceed to the refinery for Assay test result to ascertain the purity of the product. I am like THIS with Priceline… I am there. Not at all worried about the tense here, the part where I am taking a trip to where the Goods WAS located. English is tricky. I am not a betting man but I am gonna go on record here and say the avenue to some sample to the Assay office is not PAVED. 7. Our Gold remains 22 +Karat, 93.5% purity or even better, our price is negotiable and our service is very smoothly. Glad to see the service is very smoothly. Service that is very smoothly is a tricky one to negotiate… this is why we do due dili people. 11. Pick up sample straight to the refinery to confirm the purity before discussing on the affordable price to be given? Yes. The Madam was reading my mind. 12. Note: Kindly revert back if you are ready to proceed with your direct Mobile phone where you can be reached for brief oral conversation for onward provision of FCO for your study I was born ready to revert back. Here is my cell phone number but I don’t think it will work that far down to country. Is there anything better than an oral conversation? I have no idea what FCO is. Google doesn’t either. I have the 28 mil. I am ready. If you are anything like me, you love PIZZA. I am such a fan that I have started dedicating Saturdays in my kitchen to the pursuit of pizza. My way. May I suggest you make a pizza at home! No doubt it is one of the world’s best loved foods. Let’s forget about the differences in pizza originating in Italy or pies hot from a New York oven. What could be better than an oven-baked pie covered with tomato sauce and fresh mozzarella cheese? What you top your pizza with tells a lot about you. For the record, you can have all the pineapple, bbq chicken, taco mix and chocolate sprinkles you want on yours. I will pass. Thank you. This brings us to ingredients that probably need no mention. Salami, pork sausage, pepperoni, anchovies, mushrooms and your choice of cheese blends. What about flour? Personally, I like the “OO” grind of white flour which I understand is favored amongst serious pie makers. It usually turns out nice. I buy mine at the local Whole Foods. Hard to find otherwise and mail order is always an option. What else do we need? Flour, yeast… I go heavy on the yeast. I don’t follow an exact measured recipe. Olive oil, salt, sugar, and some hot water. What to do first. Start with a large bowl. We are doing this by hand remember so it is going to take a little work. Very hot but not boiling water. Dissolve 3 or 4 packs of pizza dough yeast into the hot water. Wait for it to foam, that’s how you know the yeast is active. Add your olive oil, salt, sugar to the bowl. Remember, we are eyeballing here not making exact measurements. Then blend in the flour about a cup at a time. The flour will turn into a goo. No problem. Keep working the dough and adding more flour and water little by little. Within a few minutes, you will have a dough ball. It should smell of yeast. I use a fork to turn the ball. I add flour as the ball turns that takes away the stickiness. Important later when you roll out your dough. Once you have the ball, set it aside in a bowl with a wet paper towel over and let the yeast puff up the dough. I usually make the dough ball the day before so I can rise and punch down the dough a number of times. Once you are ready to roll out the dough you will need a rolling pin and some flour. The ideal surface is a large granite counter top but if it is not available, then try a flat sheet of newspaper and flour. It works fine don’t worry. Remember we are making this pie from scratch without machinery. If you can’t throw the dough into the air, this takes practice, then roll out your dough to about 20 inches or so. Place it on your pizza pan. Next go to the sauce and spread out about 6 ounces or so of sauce with a ladle. The crust won’t burn where there is sauce so keep this in mind. Work it to the edges of your pie. Here is a hint. If you are making pie for fussy eaters, use a blender and add some mushrooms, garlic, and anchovies to the sauce and blend. This will hide the texture and improve the taste. Your fuss buttons won’t know the difference but will just think it tastes good. Fussy eaters are simple I guess. If that doesn’t work, reiterate that you made this pie from scratch and if they don’t like it that just leaves more for me. I know this works. Don’t let yourself get pushed around. We are making PIZZA here. This is serious. Get a good layer of pepperoni down. Brown off some mild Italian pork sausage, chop it up then sprinkle over the pie. You can start with the cheese, Mozzarella or a blend of cheeses about 8 to 10 ounces shredded with does the trick. Once you have the look you want it is time for the oven. 450 degrees for 12 minutes should give you a good firm crust and not overcook the toppings. You can go longer at a lower temp but I like it the other way around. High temp and short time. Once again, wood fired brick ovens can top 800 degrees. We are cooking at home. Once the pie looks ready it probably is. Pull it out and let it rest for a few minutes. Set the table, have some parmesan and garlic salt at the ready on the table. Cut your pie and serve…. Ahhhhh! Pie made my way.